With Melbourne's combination of stunning architectural heritage, art galleries, international fashion, world-class dining, and the infamous sporting lifestyle of the locals, it's no wonder Victoria's capital is consistently voted the world’s most live-able city. 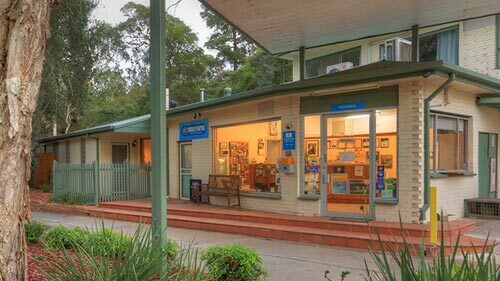 At Crystal Brook Tourist Park, our location makes us the perfect base from which you can explore this wonderfully vibrant city. We offer a big selection of inexpensive Cabins and Villas to choose from catering for all budgets. 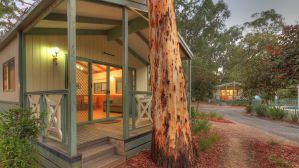 Our accommodation is all self-contained and we can cater for everyone from big groups and families to couples wanting a romantic Melbourne weekend escape. 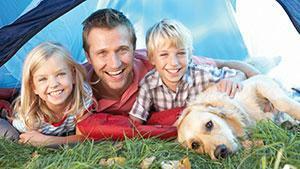 We've got Melbourne's best camping and caravan sites as well. 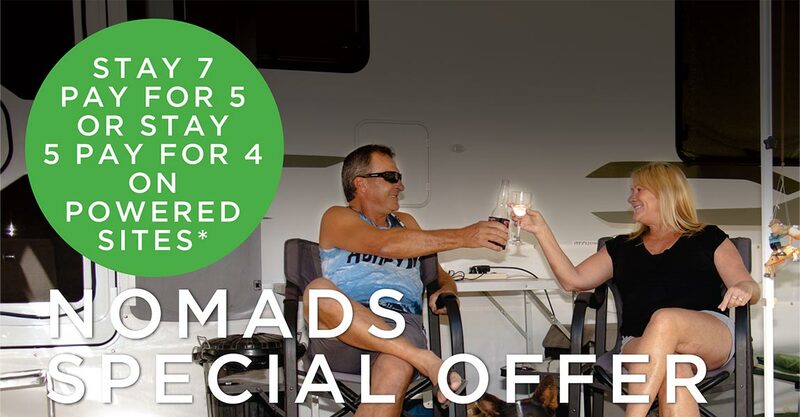 With powered or unpowered sites set in a natural and unspoiled park environment with lots of shade so you'll have all the room you need to stretch out, unwind and relax. Many of our self-contained Villas and all of our caravan and camp sites are pet friendly too, so your pet doesn't have to miss out on the adventure. Our on-site amenities and facilities are clean and modern. Available to all our guests is a camp kitchen fully equipped with TV and all you need as well as free BBQs by the large covered Alfresco dining area. There's a guest laundry too with large machines. There's plenty to keep the kids happy while dad and mum take it easy. Our sun-safe swimming pool, novelty outdoor draughts and chess, bouncy jumping pillow, kid safe adventure playground and games room with table tennis, arcade games and large screen TV will keep them entertained for hours. 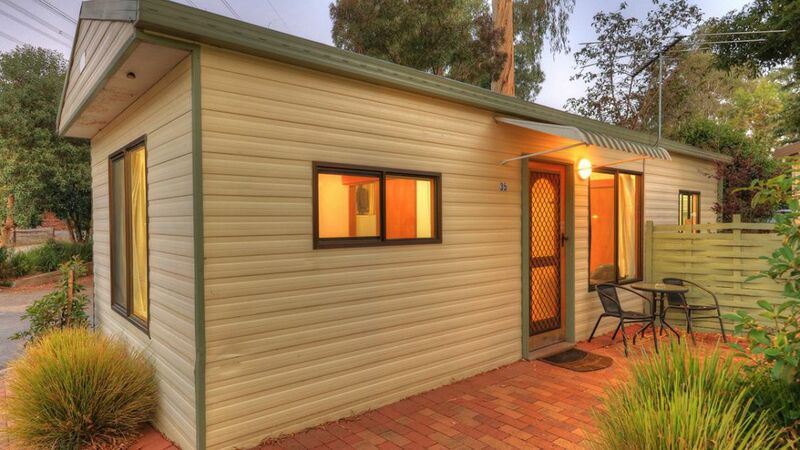 Whatever your idea of a great family holiday, Crystal Brook Tourist Park is the perfect place to stay. So call, email or book online now. We can't wait to have you stay with us! Looking for a reason to getaway or an excuse for a spontaneous caravan getaway? 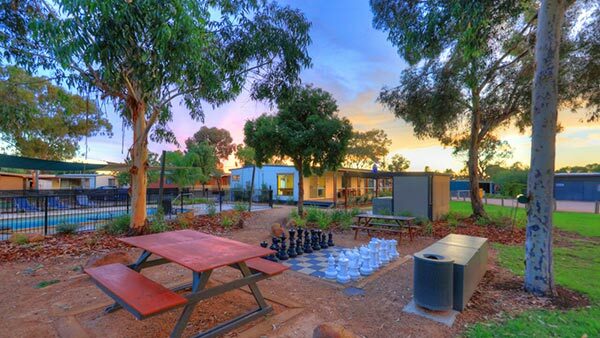 Crystal Brook is the perfect excuse with a host of activities to keep all caravanner’s busy. 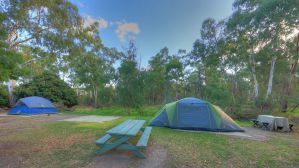 Crystal Brook Tourist Park is ideally situated for the perfect holiday, group stay or quick get-away. 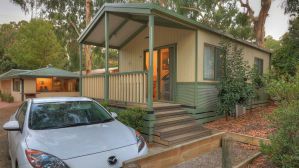 Our attractive accommodation options along with our great on-site facilities offer you all the comfort and convenience you need at a value you will appreciate. Our premium Deluxe Family Villa provides spacious and very delightful two bedroom option for up to 6 guests with a queen bed situated the main bedroom and two sets of double bunk beds in the second bedroom. 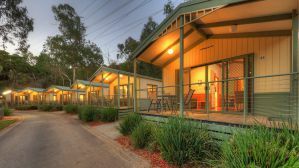 Our large self contained Deluxe Creekside Villa is a great value two bedroom option for groups or families of up to 6 guests. Each villa has a queen bed situated in the main bedroom and a double bed with a single bunk overhead in the second bedroom. 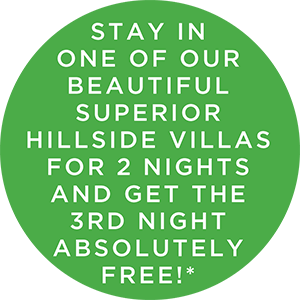 Our Superior Hillside Villa is pet friendly and a great value two bedroom option for those who love to bring their Pet friend on holidays. The villa has a queen bed situated in the main bedroom and two sets of double bunk beds in the second bedroom. Our Standard 2 Bedroom Villa has two bedrooms with a queen bed located in the main bedroom and another double bed with a single bunk overhead in the second bedroom. Our Standard 1 Bedroom Villa has one bedroom with a queen bed. This villa has everything you need to make your stay pleasant and comfortable at a price you will appreciate. Our Standard Cabin is perfect for small families and is pet friendly. There are two bedrooms with a queen bed located in the main bedroom and a double bed in the second bedroom. 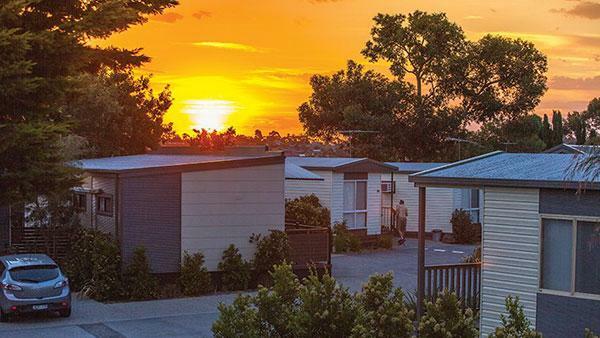 Our powered en-suite sites offer a great Melbourne caravan or camping experience with a little extra touch of luxury - your own private bathroom right next to your site. 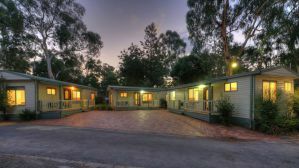 We have lots of beautiful shady and level powered sites situated in a natural park like environment with amenities conveniently close to hand. All sites are pet friendly too so you don't have to leave your furry mate at home. 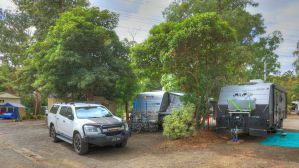 We have plenty of big shady and level unpowered tent sites situated in a natural park like environment with all amenities conveniently close to hand. 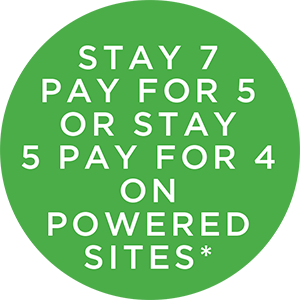 These sites have soft grass underfoot for superior comfort and all tent sites are pet friendly so you don't have to leave your furry mate at home. 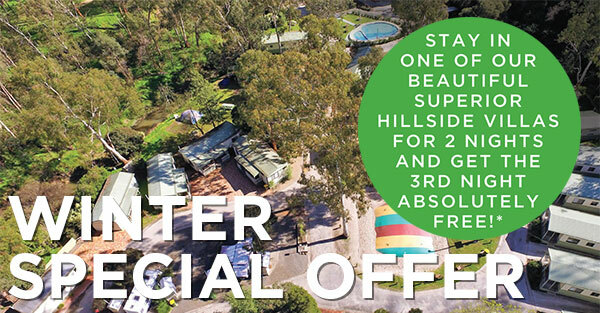 Located in Doncaster East, our gorgeous park is just 30 mins drive from some of the state's best wineries, 50 mins from the beautiful Dandenong Rages and only 45 mins from the heart of Melbourne's CBD. We are just a short distance to a large local shopping centre with supermarkets, restaurants and cafes so everything is conveniently close. Melbourne offers limitless opportunities for family fun and adventure, cultural experiences or historical exploration. There's world class shopping and dining and the city plays host to some of the world's biggest annual sporting events. Close by the park there are walking trails and bike tracks and within an hour's drive are wineries, lush temperate rain forests, hidden valleys, glorious beaches and spectacular scenery everywhere you go. 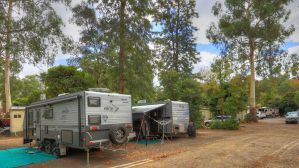 Click the links below to explore just some of the many wonders right on our doorstep here at Crystal Brook Tourist Park. 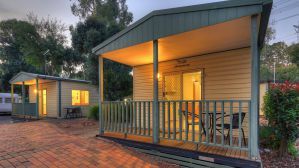 Whether you’re up for an adventure, want to relax, do some shopping or simply enjoy some great local food and wine, Crystal Brook Tourist Park is your perfect base to enjoy everything the region has to offer. Did you know that here at Crystal Brook Tourist Park we are very pet friendly?